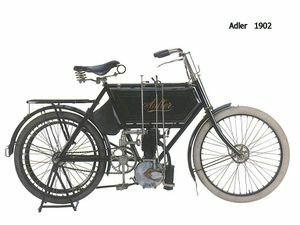 Germany's firm Adler built motorbikes briefly starting in 1902, then re-directed their focus onto producing cars and bicycles. In 1949 they made a comeback to producing bikes. 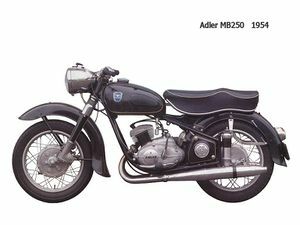 The firm's most widely popular model was the M250, which was a twin-cylinder two-stroke roadster released in 1953. 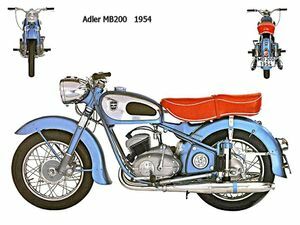 Adlers were sometimes successful in road races and enduros, but this didn't translate into sales. In 1958 the firm was taken over by the Grundig Corporation who stopped producing bikes and began to make typewriters. This page was last edited on 2 March 2009, at 18:52.